My older daughter, Lena, left her special doll at her grandparents house after playing there one day. We didn't notice until bedtime that evening, when it quickly became apparent that there would be no bedtime until her doll had returned home. Luckily, Lena has the best grandparents in the world; they jumped in the car without any hesitation to bring dolly home. All was well in the Paper And Glue house. For many children, dolls are real and precious friends. There is often a special relationship between the two, and these books capture the sweetness of that bond. While these Books About Dolls are mostly about girls and their dolls, I did manage to find two books about boys- please leave me a note in the comments if you know of any others! 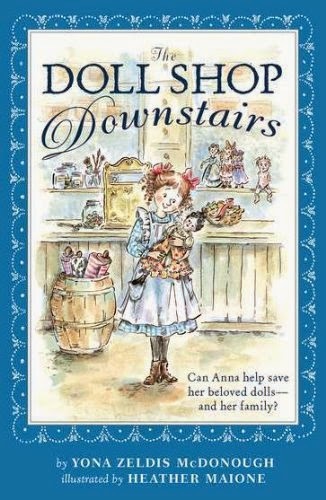 The Doll Shop Downstairs is a sweet early chapter book that my girls both loved. A trio of sisters live with their parents above the family doll repair shop. When World War I breaks out, the family can no longer get parts for the dolls from Germany, so the family transitions to making their own dolls to sell. There is a sequel, The Cats in the Doll Shop that we can't wait to read! The story is fairly simple and straightforward, and the historical aspects are mostly a side note. I think that most 4-year-olds who have chapter book experience could enjoy listening to this story. Kevin Henkes is one of our favorite authors and illustrators. In Penny and Her Doll , Penny gets a new doll and struggles with picking a name for her. Her parents encourage her to wait until something comes to her, and at just the right moment, it does! The story is straightforward and sweet, and perfectly conveys the delight that many children feel when getting a new doll. 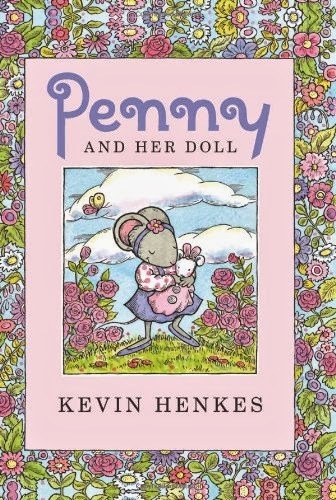 The illustrations in Penny and Her Doll are simple, with a beautiful pink, purple, and green color scheme. I recommend this book for older toddlers and preschoolers. This book is just so sweet! A little girl loves her rag doll, but has to leave her at home when she goes off to school. The girl is so sad without her doll that she doesn't eat or participate in school activities. Eventually, the girl's grandmother makes her a miniature version of her beloved rag doll that can tuck quietly and secretly into her book bag while at school. 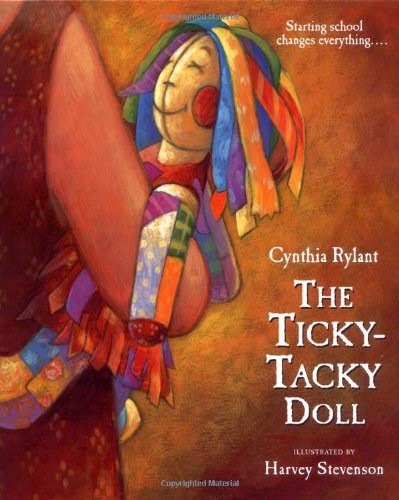 Sometimes adults may overlook the powerful friendships that children can have with their lovies, but The Ticky-Tacky Doll reminds us! This book is a good choice for older preschoolers or early elementary aged children. William wants a doll. His friends tease him and his parents get him more 'masculine' toys instead. It is finally William's grandmother who gets him a doll so that he can learn how to be a good daddy one day. Some of you may be familiar with the version of this story that appeared on the album Free To Be You And Me. This book is perfect for the little boy doll lover in your life, OR a good choice to read to any child to encourage open mindedness and sensitivity to others. Sometimes things have to be just right in order for children to fall asleep. They have to have the right things in the right places! Lucy searches her house high and low for her teddy and doll before she can settle in for a good night of sleep. The bright and bold illustrations in this book will keep your child's attention, and some of the silly antics that Lucy gets into will make them giggle! Lucy Can't Sleep does include little Lucy wandering all over the house and backyard ALL ALONE in the middle of the night, so if your child is prone to suggestion you might want to avoid this one! 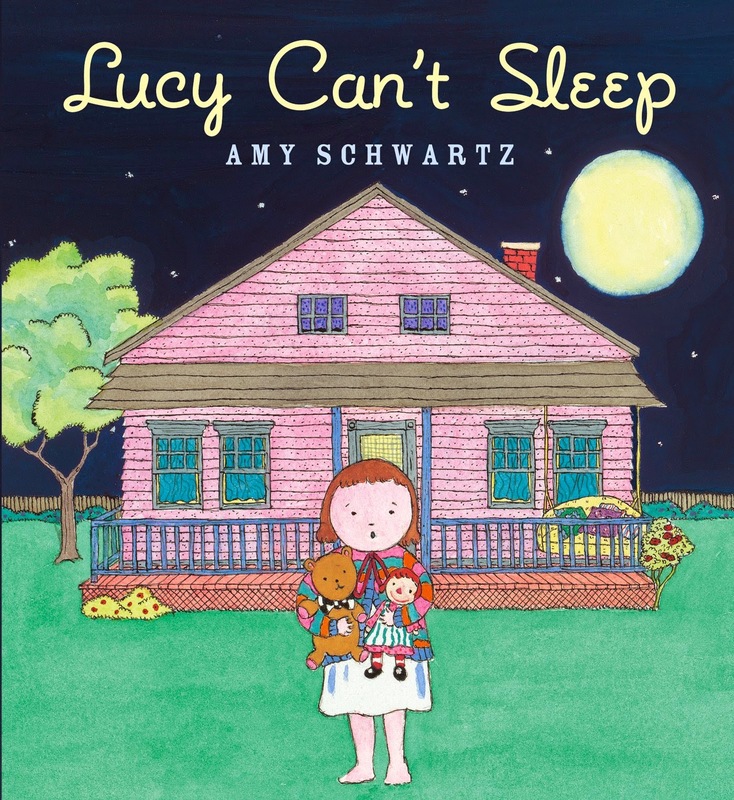 All in all, thought, many children will relate to Lucy's inability to settle in for sleep. Yoko's grandparents send her a special antique doll all the way from Japan. She brings it to show-and-tell (despite her mother telling her not to) where the doll is badly damaged. Yoko confesses to her mother, they have the doll repaired, and she is good-as-new before Yoko's grandparents arrive for a visit. This is a particularly good choice if you have special dolls in your house that shouldn't be played with by children. 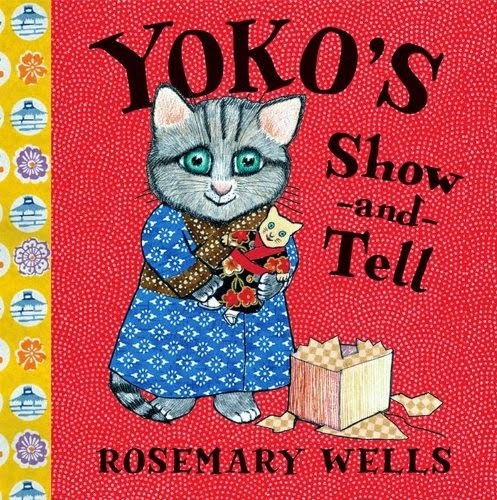 Yoko's Show-and-Tell also has a lovely multicultural element to it as well, as it teaches children some tidbits about Japanese culture along the way. You'll recognize the distinctive illustrative style of Rosemary Wells, best known for Noisy Nora and the "Max and Ruby" series. Your older toddlers, preschoolers, and elementary aged children will enjoy this book. Boy + Bot is not technically about a doll, but the sentiment is similar. 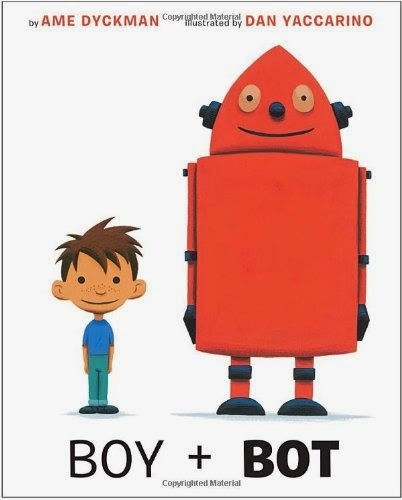 A boy finds a robot in the woods and they enjoy playing together. After the robot's power is button is accidentally turned off, the boy takes him home and cares for him, trying to get him to return to life. The bright, bold illustrations are darling. This book is just the thing for encouraging little boys to nurture and care for things that they love. The Hand-Me-Down Doll is a sad story with a happy ending. A spoiled child is given an expensive doll that she ignores. The doll is eventually passed around and around, with no one caring enough about her to even give her a name. Eventually she winds up with a sweet little girl who loves her and names her. This book could be used to remind children to take care of their toys and special things. The most striking element of The Hand-Me-Down Doll are the illustrations by Dan Andreasen. They are rich and beautiful and give real life and emotion to the doll-- I only wish she weren't so sad in all of them! My girls LOVED this story! 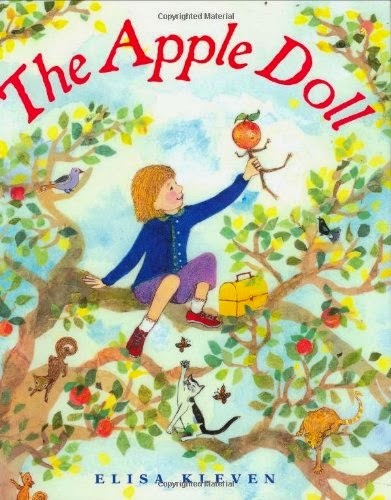 Lizzy loves the apple tree in her yard so much that she makes a doll out of one of its apples. After a while, the apple starts to turn mushy, so her parents show her how to dry the apple in order to keep the doll forever. The book includes instructions on how to make your own dried apple doll, and you'd better believe that as soon as we finished reading, my girls said, "Can we PLEASE make one?!" We'll be doing it soon, and I'll let you know how it turns out! This book is a bit long for a picture book, so I recommend it for patient preschoolers or elementary aged children. 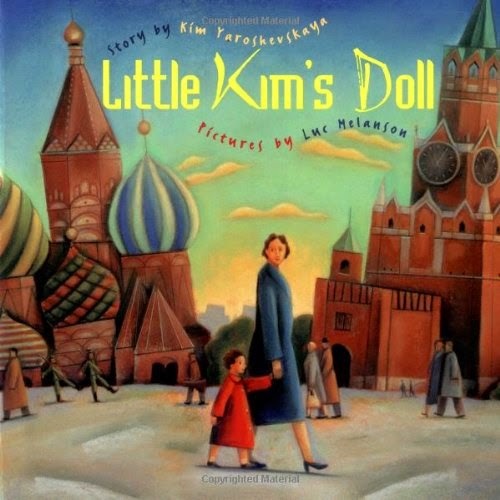 Little Kim is growing up in Soviet Russia in the 1930s. Even though she desperately wants a doll, her parents won't buy her one because they want her to grow up to be strong and courageous. Little Kim improvises, making dolls out of spoons and toy rifles. Her parents realize that Kim's acts of defiance (playing with dolls against their wishes) prove that she is already strong and courageous. They relent and buy her a doll. The historical setting of this book provides a unique perspective; I didn't find it necessary to go into much detail about the history with my preschoolers. We enjoyed the illustrations in this book, and were able to see glimpses of Russian culture in the story. Patti Cake celebrates getting a new room with a new doll to keep her company in the 'greatly dark.' 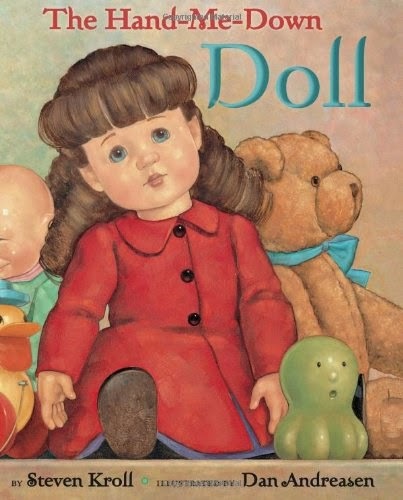 The doll's name is On Sale, which sums up the quirky nature of this book. Patti Cake, On Sale, and their dog enjoy getting to know one another before snuggling in together for their first night together. 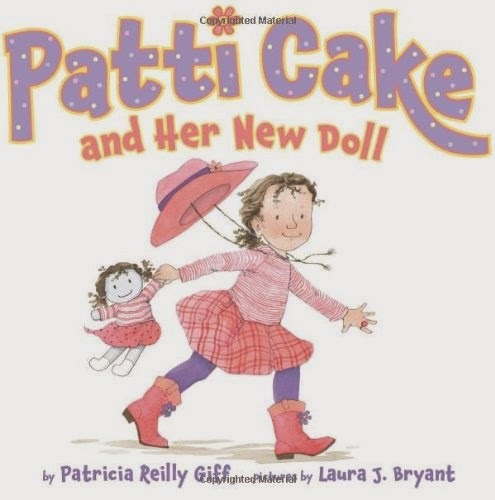 Patti Cake and Her New Doll is a funny but straightforward story that many parents and children will relate to. Your toddlers and preschoolers will laugh along with the characters. You Know What I Love? is written from a doll's perspective and shows the special relationship that children can have with their lovies. The doll tells her owner how much she loves the special things that they do together. This is a good choice for older babies and toddlers. 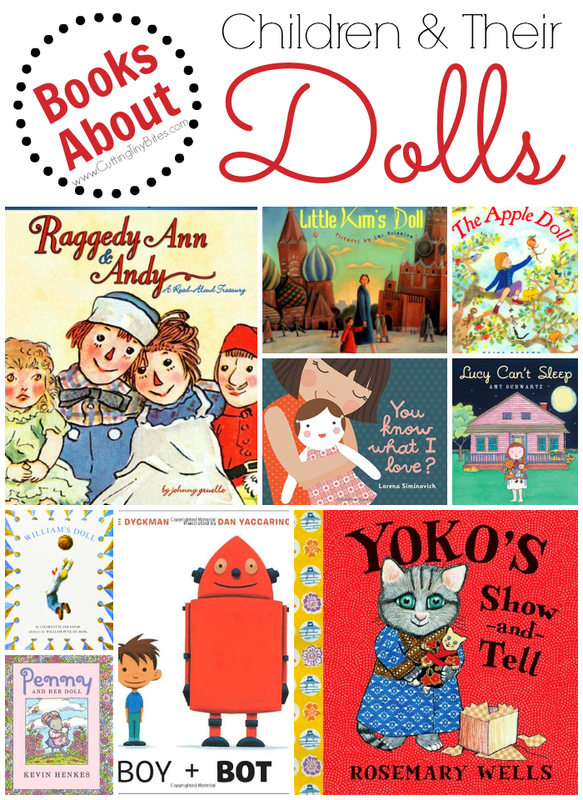 These classic stories are a 'must-read' for any doll lovers in your family. 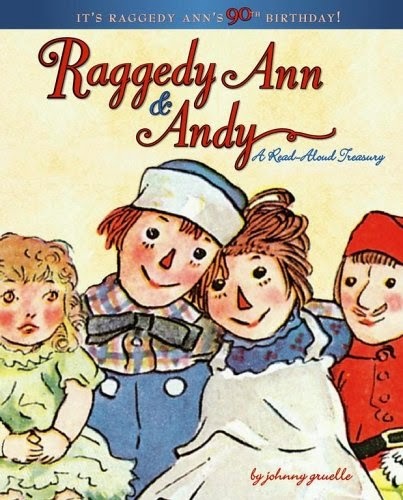 This treasury contains 10 of the most well-known Raggedy Ann and Andy stories and lots of great pictures. Each story makes a perfect bedtime read for your preschooler. For lots of activities to do for a doll themed week with your preschooler, visit the What Can We Do With Paper And Glue Pinterest board below! 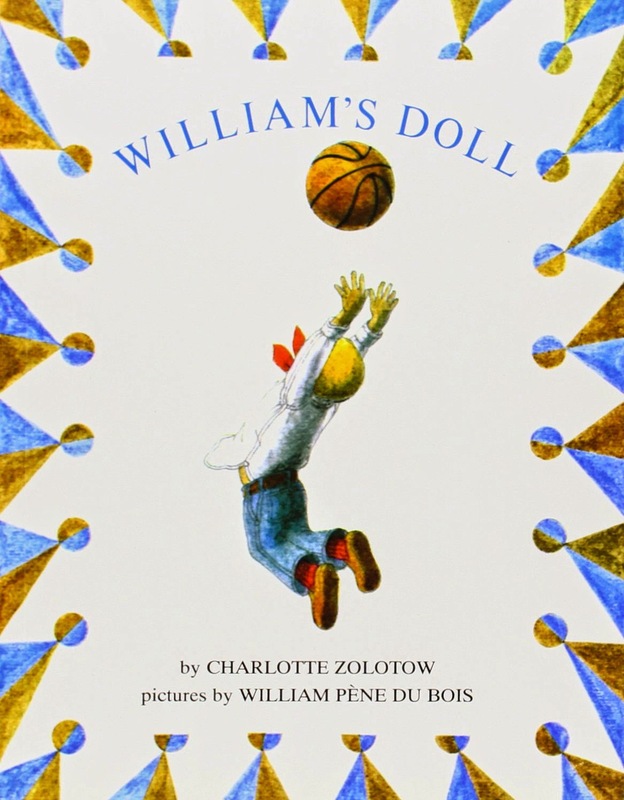 Childrens picture books that capture the special relationship between children and their dolls. Brief reviews of each.